History: child with limited range of motion of the right forearm. Radial head dislocation and acute ulnar plastic bowing: Right forearm radiograph reveals the radiocapitellar line is incongruent (indicating radial head dislocation). Additionally, there is a bowing deformity of the ulna (adjacent to the linear marking tool line), which may indicate intratrabecular fracture. Some have maintained this as a Monteggia fracture-dislocation. This is a radial head dislocation with acute plastic bowing of the ulna. Acute plastic bowing is a plastic response to a longitudinal stress that is frequently seen in young children ages 2-5 years old. In the image above, normally the ulnar cortical surface forms a straight line. The bowed shape of the ulna is abnormal. The most common bone involved in acute plastic bowing is in the ulna with an associated radius fracture. Acute plastic bowing is rare because the stressing force has to be great enough to fracture the bone, yet short enough in duration to not completely break the cortex of the bone. A common mechanism is fall on an outstretched hand (AKA: FOOSH injury). Some have maintained in this article here that this pattern of injury still represents a variation of the classic Monteggia fracture-dislocation classification. 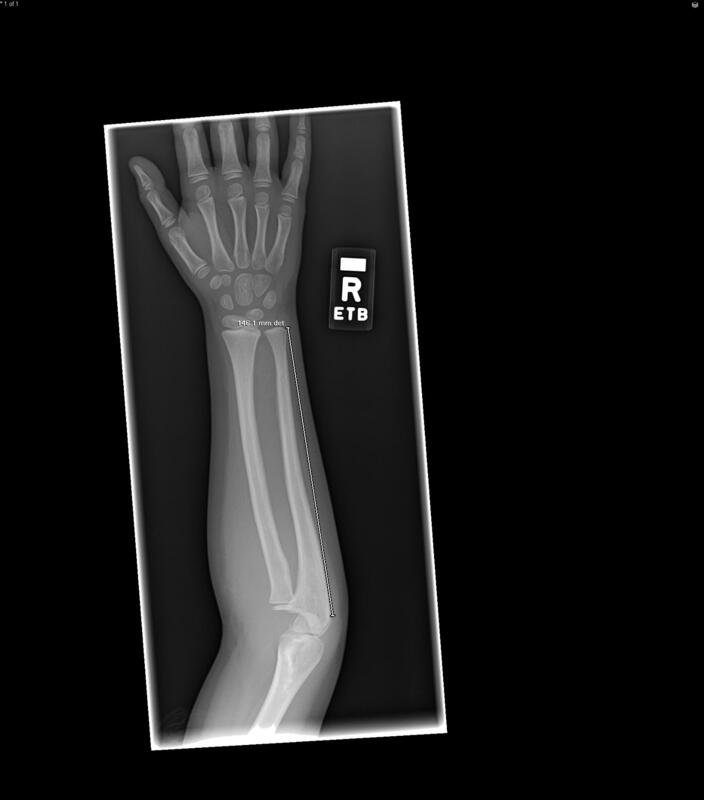 A Monteggia fracture-dislocation includes fracture of the proximal one third of the ulna with associated dislocation of the radial head.